It’s Monday! 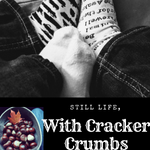 What Are You Reading | Still Life, With Cracker Crumbs..
← The Sunday Post/It’s Monday! What Are You Reading?